Ryanair CEO Michael O'Leary and chairman David Bonderman have survived an attempt to the airline's pilots to get them ousted at today's annual general meeting. Shareholders approved the re-election of all directors, including O'Leary and Bonderman. More than 98% voted to re-elect O'Leary, while 70.5% voted in favour of Bonderman staying in the chairman's seat. BALPA, which represents Ryanair pilots in the UK, had called on shareholders not to re-elect the pair, which it blamed for an 'utterly dysfunctional' relationship between the airline and its pilots. And it claimed the management's actions were 'perceived by pilots as being frequently intimidating and antagonistic'. "It is also seen as generating operational disruption and industrial unrest rather than creating a positive and cohesive working environment for the future," added BALPA in a statement released yesterday ahead of this morning's AGM. 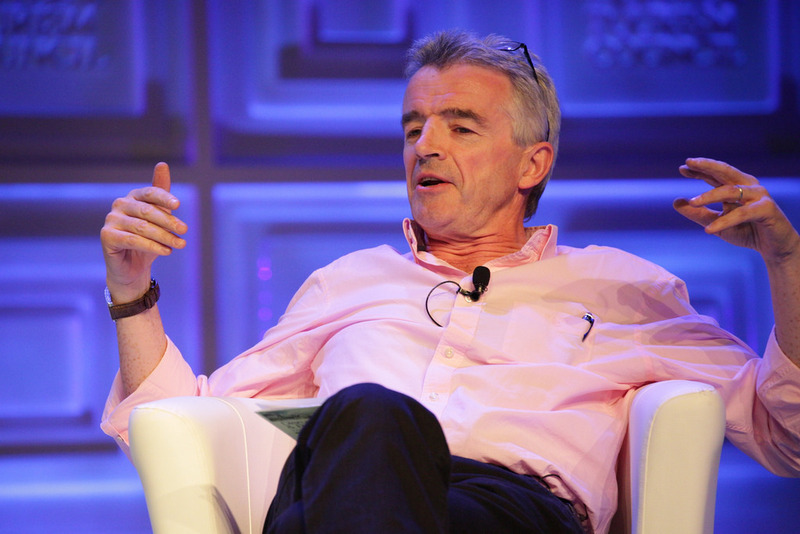 "As professional pilots, critical to the future and fortunes of our airline, many have lost all confidence in Michael O'Leary and his ability to lead the company as CEO. This failure of leadership is compounded by an apparent lack of oversight from the Board, from its Chairman and from non-executive directors, which has allowed the current negative situation and ongoing uncertainty to grow. "Accordingly, as stakeholders in Ryanair, with shared interest in the health and success of the company, Ryanair's pilots urge shareholders to immediately replace the CEO Michael O'Leary and Chairman David Bonderman at the annual general meeting." The statement claimed the airline's current employment model has 'fundamentally failed'. "There is an urgent need for a management team that is able to adapt to the future needs of the company, properly engage with its employees, and ensure it can be a sustainable and profitable business for the future. If this opportunity is missed, it is difficult to envisage how Ryanair can move forward under the out-of-date management style employed to date, and we are greatly concerned that both the employees and the shareholders of Ryanair will pay an unnecessary price for such failure for many years to come." BALPA general secretary Brian Strutton said the industrial unrest at Ryanair across Europe, which has led to dozens of strike days and thousands of cancelled flights over the past year, was likely to continue for the foreseeable future. The airline is facing one of the biggest strike in its history next week when pilots in Belgium, Italy, the Netherlands, Portugal and Spain are due to walk out for 24 hours on Friday. "The reason is as follows; there is a lot of pent up frustration in Ryanair over a management style that has been seen as bullying and aggressive. The staff want that to end and they want respect," said Strutton. "Ryanair's announcement last December that they would recognise unions should have been the opportunity to make a break from the past but the trust in management isn't there to support the words. "For many pilots and cabin crew it seems to me that they do not believe in the intentions of Ryanair's leaders and unfortunately Mr O'Leary is usually cited as the cause of this. I think that while he is still there as the embodiment of Ryanair's values the distrust among many staff is likely to continue and with it the industrial unrest." Bonderman has been chairman since 1996, while O'Leary was the architect behind Ryanair's low-cost business model, which he devised after being sent to the US in 1987 by the airline's founder Tony Ryan to examine the first budget airline, Southwest. Either way I would prefer to trust my life to a happy, well managed, airline. in about 12-18 months time, airlines all over the world, will be failing. Pilots then will be lucky to have a job, ANY job. Blind Freddie can see it coming. Why, if it is so bad, don"t pilots vote with their feet and go work somewhere else? Is there really no alternative? Is it bullying or bullish management? (I think there is a big difference).